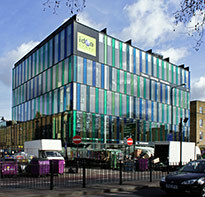 Idea Stores have revolutionised Tower Hamlets library service - increasing both user numbers and customer satisfaction. As well as achieving success with customers, the borough's flagship Idea Store at Whitechapel which sees more than 15,000 users pass through its doors each week, has also won design awards for inclusiveness and accessibility. To find out more about Idea Stores we are providing a number of tour options to share ideas and help you to develop your own library, learning and information services. Please look at the options to find the one that best suits your needs. Please note that due to the popularity of the Idea Store Tours we are asking for payment to ensure that we can continue to maintain a top quality service for our customers - this also guarantee that you will get the most out of your visit. Idea Store Whitechapel, Tower Hamlets' flagship Idea Store. 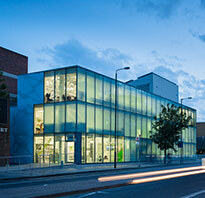 Idea Store Watney Market was opened in May 2013 and includes an integrated One Stop Shop where residents can access council services.